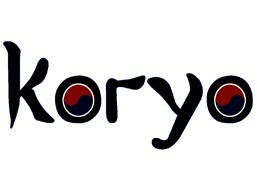 Koryo Korean BBQ is currently closed for delivery and it will open at . Grilled Salmon is weighing 120g and its made to order. It comes with a spicy korean BBQ Sauce. Comes with steamed rice. Grilled chicken thigh marinated for 24 hours and then grilled. Marinade ingredients are the same as the Chicken bulgogi with the addition of Korean chili powder, gochujang, fruits and sesame oil. Meat is halal and sourced from Brazil. House chicken is grilled chicken marinated with soya sauce and garlic. Sirloin marinated for 24 hours and then grilled. Marinade ingredients include: soy sauce, garlic, ginger, fruits, sugar and sesame oil. Meat is halal and sourced from Brazil. Grilled chicken thigh marinated for 24 hours and then grilled. Marinade ingredients include lemon juice, soy sauce, sesame oil, spices, and garlic. Meat is halal and sourced from Brazil. Citrus and garlic marinated shrimp that are grilled and kissed with a hint of lemon before serving. Stir fry sirloin beef mixed with chili and vegetables. Daakenjang is stir fry chicken in gochujang chili and garlic with spring onion and peanuts. Korean style stir fried noodles. This dish is made with sweat potato noodles and tossed with seasonal vegetables, including mushrooms, black fungus, spinach, onions, spring onions and fresh coriander. The famous Korean dish featuring the ever so popular Korean rice cakes. The rice cakes are stewed with fish stock and combined with fish cakes and our red dragon sauce which is a red chili based sauce with lots of garlic, ssamjang a little vinegar and sesame oil. Korean style fried rice with our spicy kimchi added to give the rice a nice pungent kick and spiciness. The rice is not vegetarian because we add beef stock to the rice for depth of flavor. Garlic, spring onions and spices are added as well. This dish is made of egg noodles mixed with carrots, onion, black fungus and spring onions. Salted and fermented vegetables, with a variety of seasonings including chili powder, scallions, garlic, and ginger. We use napa cabbage for this dish. Salted and fermented vegetables, with a variety of seasonings including chili powder, scallions, garlic, and ginger. We use Persian cucumbers for this dish. Salted and fermented vegetables, with a variety of seasonings including chili powder, scallions, garlic, and ginger. Seasoned with sesame oil, garlic, green onions and oyster sauce. Chili Kissed Broccoli, Grilled/ charred broccoli florets seasoned with olive oil, garlic, and red chili. Japanese eggplants, steamed and mixed with spring onions, garlic, gochugaru, sesame oil and Korean soy sauce. Persian cucumbers, rice vinegar and grape seed oil seasoned with coriander leaves, sugar and black sesame seeds. Baby spinach, quickly shocked in hot water, lightly seasoned with sesame oil, soy and garlic. Potato salad with a slight twist, hard boiled eggs, carrots, cucumber and apple folded in the mayonnaise. Vegetable dumplings filled with seasoned chop vegetables and butter. Served with soy sauce and kimchi.